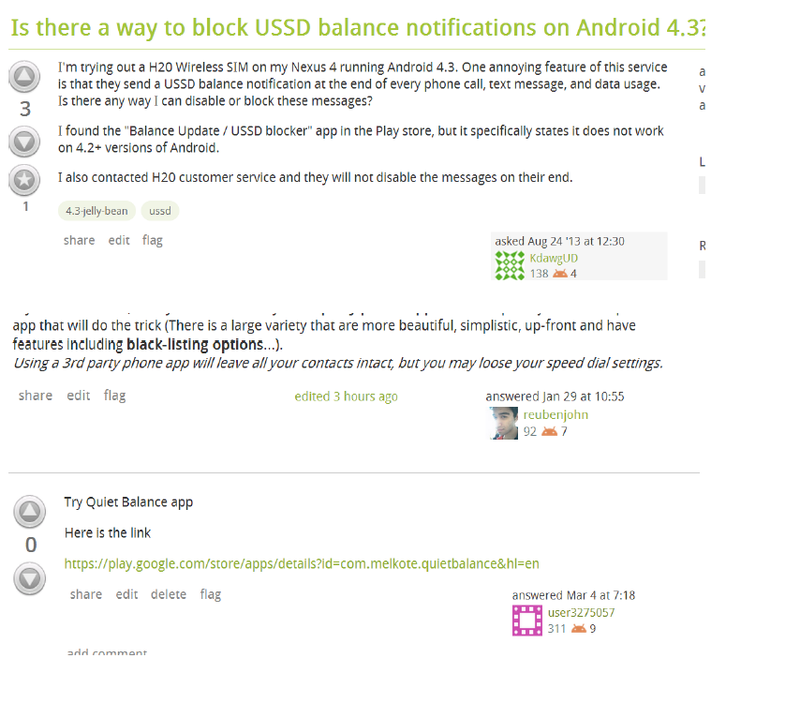 I have posted an answer for the following post Is there a way to block USSD balance notifications on Android 4.3? Today when I rechecked the answer it is deleted and shown as "deleted by owner". What does it mean? In the answer I linked an google play app. Thank you. Browse other questions tagged support status-completed . Why there is a must-have tag?